Some of the methods require X session to open a window and take screenshots. So VNC can be used to run in on servers for example. To Setup a VNC server on Ubuntu read this article. wkhtmltopdf is a command line utility that converts html to pdf using webkit rendering engine. The usage is very simple. 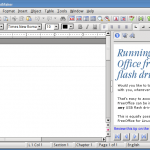 Just run the command providing the url and name of the pdf file. This will create the google.pdf file in the home directory. The wkhtmltoimage utility shall take the screenshot of a given url, and save it as a png image. It uses the webkit rendering engine. To use the wkthmltoimage utility simple run the command from terminal, giving the url and the name for the image file. 1. Can automatically determine the height of the page to take full page screenshots unlike most other utilities. 1. Fails many times due to unknown reasons with an error saying "Painter not active". 2. Cannot render cufon fonts and flash animations. Sometimes it even fails in jquery animations which take long time to load. Cutycapt is a utility to take the screenshot of a url, using the webkit rendering engine and save it to an image file. To use cutycapt, simply run the command from the terminal, providing the url and the name for the output file. khtml2png uses the konqueror rendering engine to create screenshots of web pages. To install khtml2png, the program has to be compiled and build on the system. 2. Extract the khtml2png archive. 5. sudo checkinstall (this will create a deb file and install it , so that it can easily uninstalled later). To use khtml2png run the program from commandline providing the url and other options. This would create a google.png in home directory with the screenshot of www.google.com. Xlib:  extension "XInputExtension" missing on display ":12". It should create a www.google.com.png in the directory which has the screenshot of size 1024 x 768. This method requires a running X session , since it opens a window to load the url and then save its screenshot. 1. 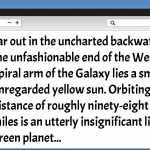 Can succesfully render cufon fonts, complex/long loading jquery animations. 1. Cannot automatically determine page height to take full page screenshot. Workaround: If dimensions are available then the dimensions can be specified as the screensize and using such parameters with a virtual monitor can give full page screenshots. 2. Opens up an annoying browers every time on the desktop. 2. Download package from github and extract the archive. On a webserver since Xorg is not running , xvfb can bed used to take the screenshot. 1. Fails at CSS3 fonts. 2. Cannot automatically determine page height to take full page screenshot. The above tools and techniques can be used on a webserver with a language like PHP. If you just need simple and quick solution, I recommend cutycapt. But if you need a stable, high performance system which can handle 1M request per day. Cutycapt will be a nightmare. I encounter a lot of problems when I try to use Cutycapt to handle 1M different websites. But after changed the source code of cutycapt, it still work perfect. I recommend to resize image inside of cutycapt. It will save around 1 seconds per request. BTW, page2images.com (multiple device screenshot) is built base on cutycapt. If you have any interesting, please take a look. My vote is for CutyCapt – works pefectly! You could use the GrabzIt API to do this, they allow you to use five different languages including Perl, Python, PHP and more. its not a good idea to depend on a 3rd party api or remote solution when there are already so many easy to use tools that can be installed on local machine. Outstanding, great post! thanks, cutycapt ROCKS!